“Success is defined as the accomplishment of an aim or purpose. 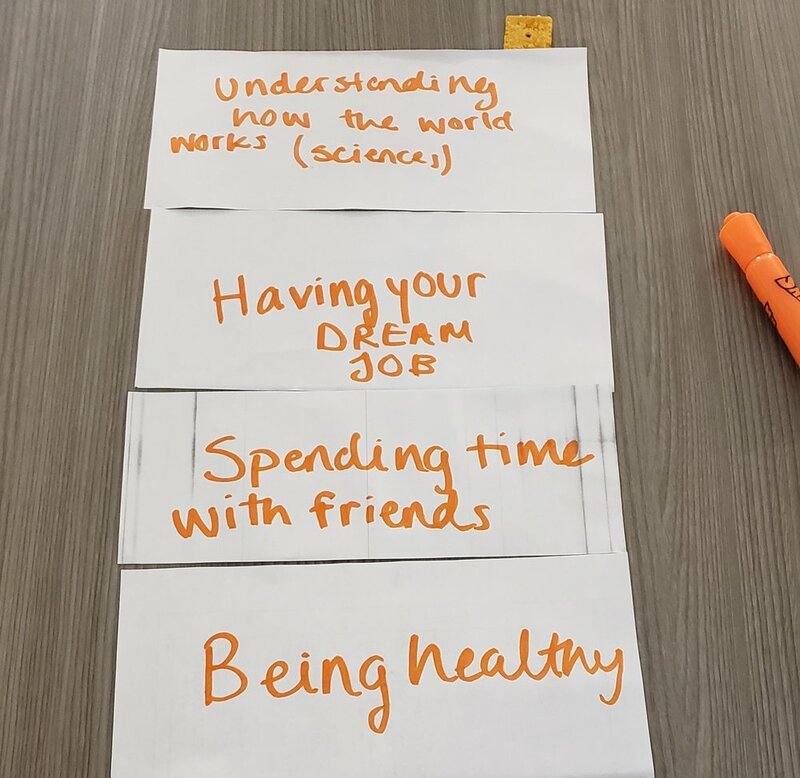 Recently in the Young Women's Leadership Program, we took part in an activity that helped us understand what we consider success. Program participants created "Success Maps." These maps include what we personally consider a success for the future, and how we measure our successes now. We also noted our six forms of success and ordered them from most important to least important. Before creating mine, I was very sure my map would include basic ideas of success. But after creating it, I was astonished to see how specific some of my ideas of success were. For example, an item on my list of was "having good handwriting and being able to draw well." I didn't predict coming up with that idea when starting the activity. I considered it so minor at first, but then I realized if it makes me happy then that's good enough to be called success. After completing the activity, we did a gallery walk as a group and looked over everyone else's maps. It was evident to me that each one of us in the group had different goals for of success. I had been expecting many similar ideas, but I found that no two people had similar definitions. I am glad it is this way. If everyone had similar ones, no one would be happy - we would all be chasing someone else's ideas of success and feel burned out and unsatisfied with our accomplishments. Riti, our facilitator, told us that we can't automatically wait for success to happen out of nowhere, which stood out to me. I interpreted this as being successful now will help us to feel successful in the future. We shouldn't restrict ourselves to the feeling that we will be happy once a certain thing happens. Instead, we need to be happy while moving forward and remember the accomplishments we've made so far.